Family members have been saving their jars for months, and the result was a crate full of jars for the bridesmaids to get crafty with. This was simple enough that one of the younger bridesmaids could join in, too. 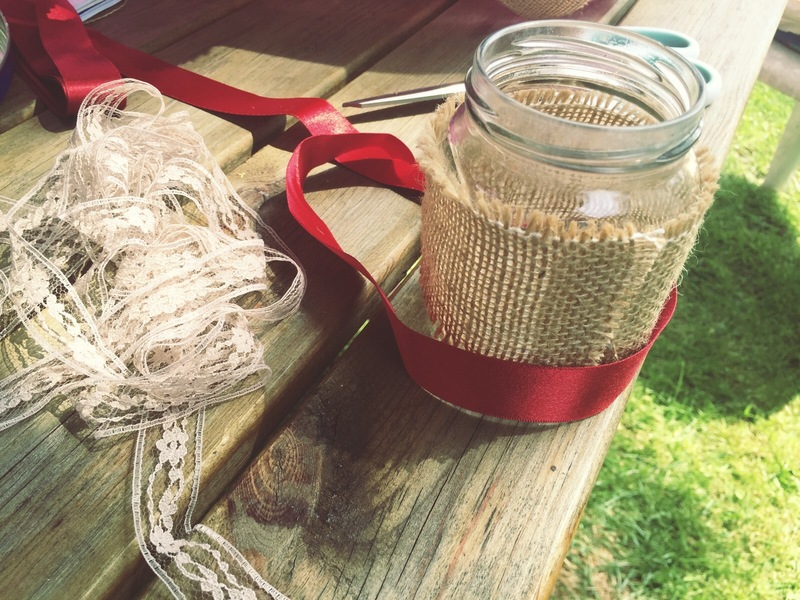 There’s quite a rustic theme for the wedding, with lots of hessian involved. So, hessian was one of the main materials we used. Like many craft projects, these worked best with a mix of textures, so we also used satin ribbon and lengths of lace to provide a contrast. I think these look really effective and it’s nice that so many of the wedding party have been able to get involved with making something for the big day. 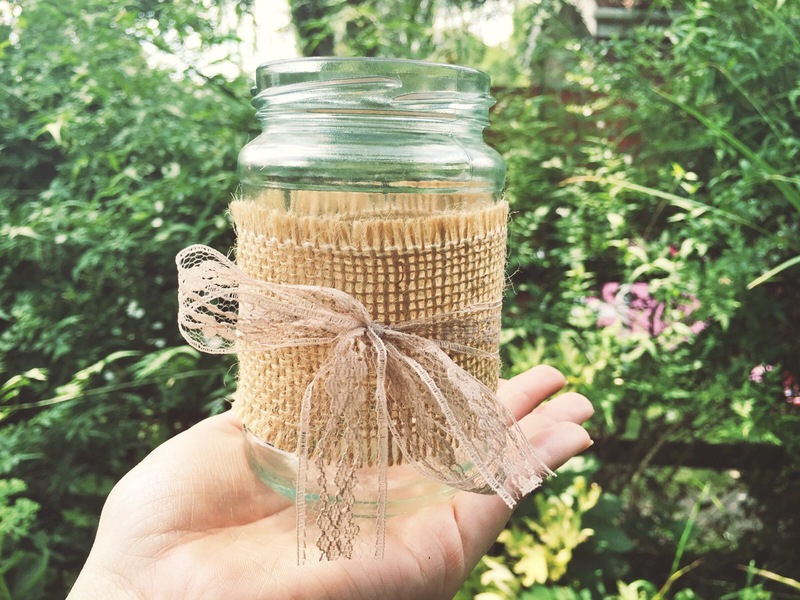 Jars like these would also be great as mini vases for a garden party or fancy picnic. Why not give ’em a try? These are great – I bet the glow through the hessian will look really nice 🙂 I did something similar for my wedding but with lace doilies on the inside (there was a strict no candle policy at our venue so we had to use battery tea lights). We put them outside and the effect was lovely. Cute!!! I love this DIY!! I love candles, so I’m always looking for different ways to display them and this is such a pretty way to do it! I imagine the candle glows so nicely through them – I need to get my hands on some supplies!